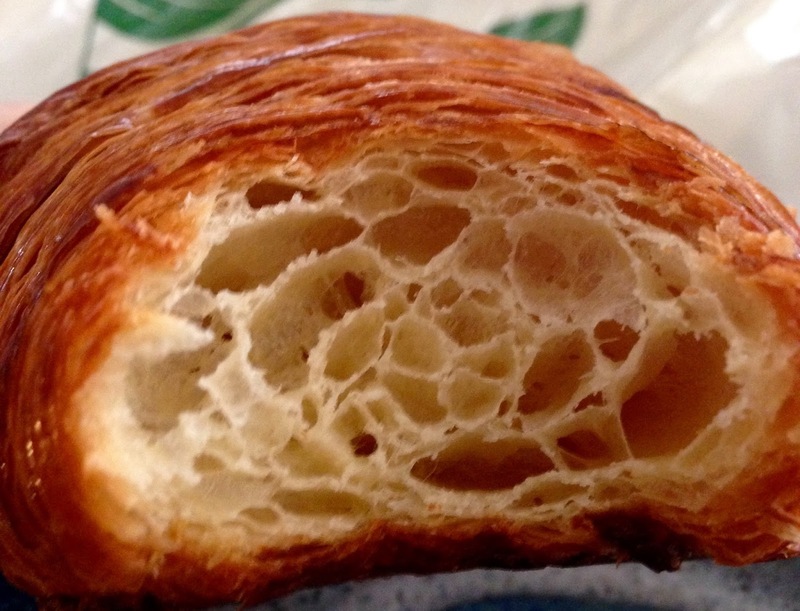 When I first moved back to the US, I asked my gluten loving friends where they found their favorite baguettes and croissants. Since I now live on the eastside, making the trek to Bouchon in Beverly Hills on a regular basis was not going to be part of my life. 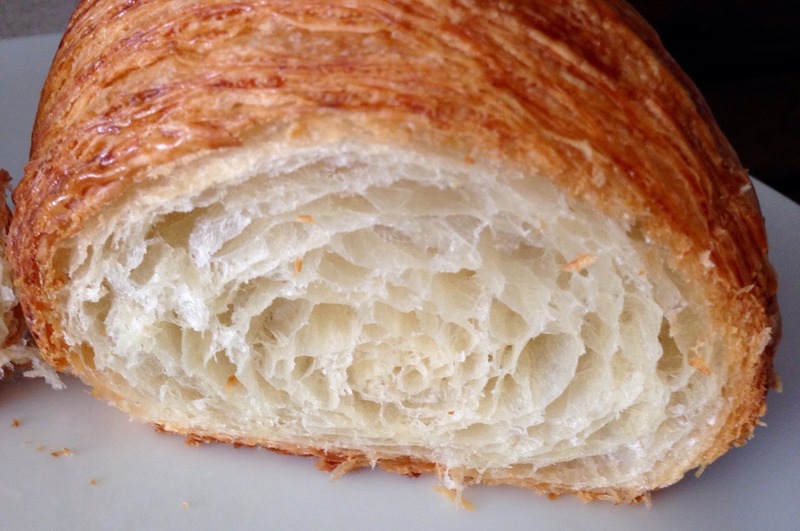 The consensus was that I should try the croissants at Euro Pane in Pasadena. I was in for a shock when I saw how big they were. Easily 8″ long and 3″ wide in the center, they are HUGE by French standards. Since they use real butter, the flavor was good, and it was light and airy on the inside, but I had to “crisp” up the outside by popping it into the oven for a few minutes. 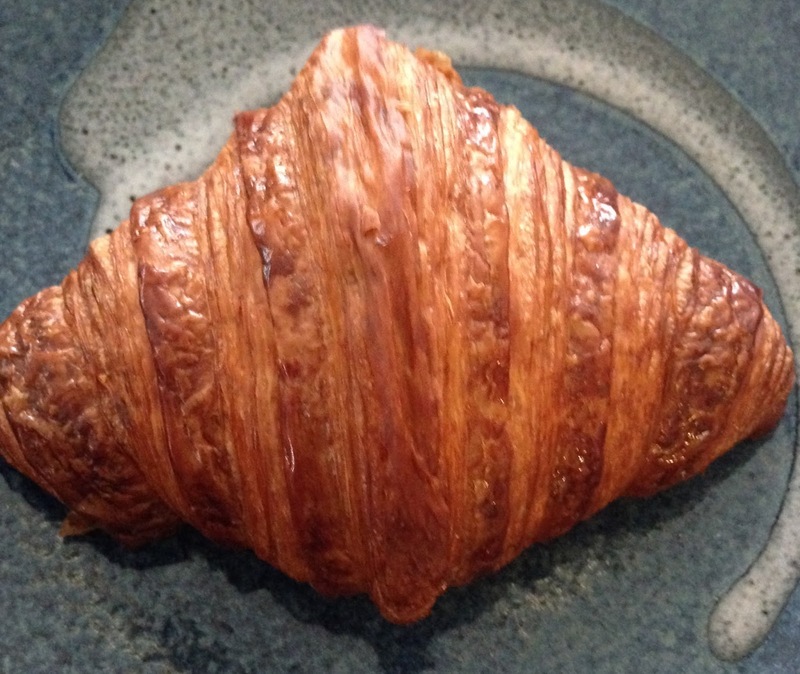 This was a very good rendition, but I didn’t salivate and want to run back for another one (the true test of a great viennoiserie is that you want another one). 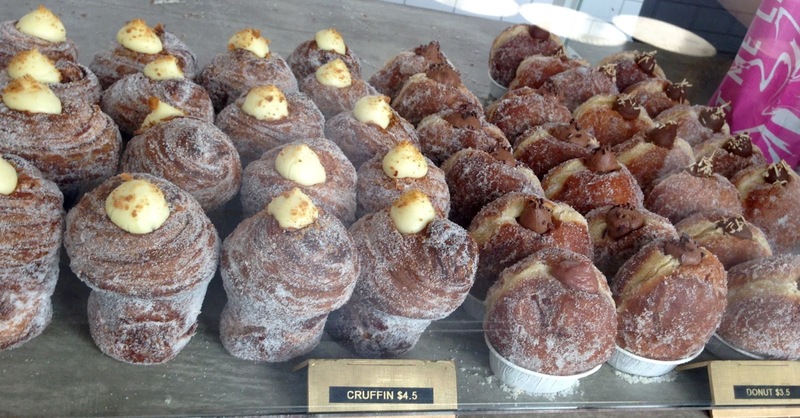 A very good croissant is at Mr Holmes Bakehouse, famous for their croissant muffin hybrid, the Cruffin, as well as filled donuts. 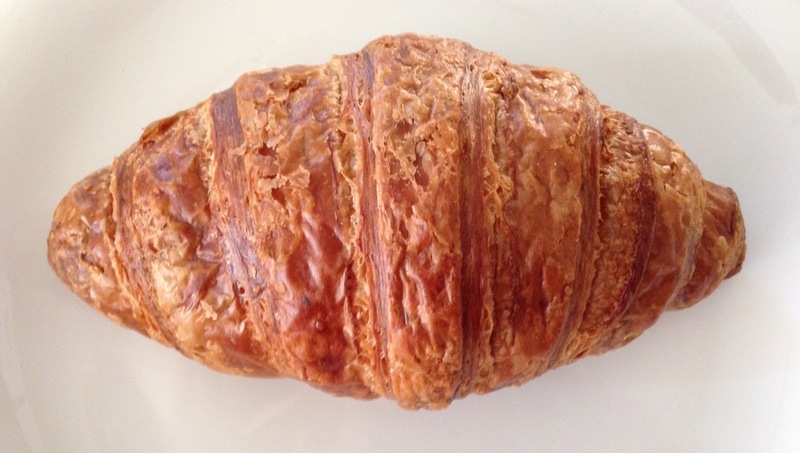 The Holmes croissant is a butter intense version that some people adore, with a nice flaky exterior and good air pocket interior. 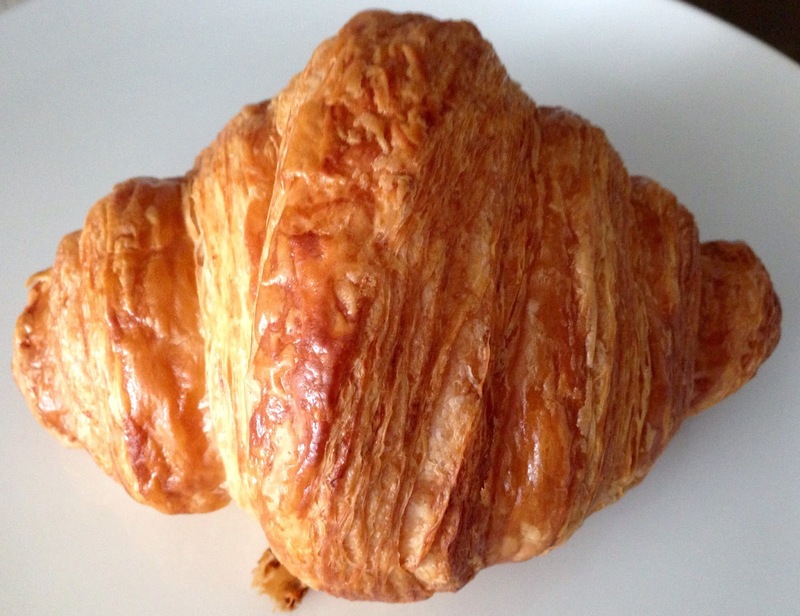 I prefer a less butter saturated version, but for those who love butter, this croissant would be very satisfying. 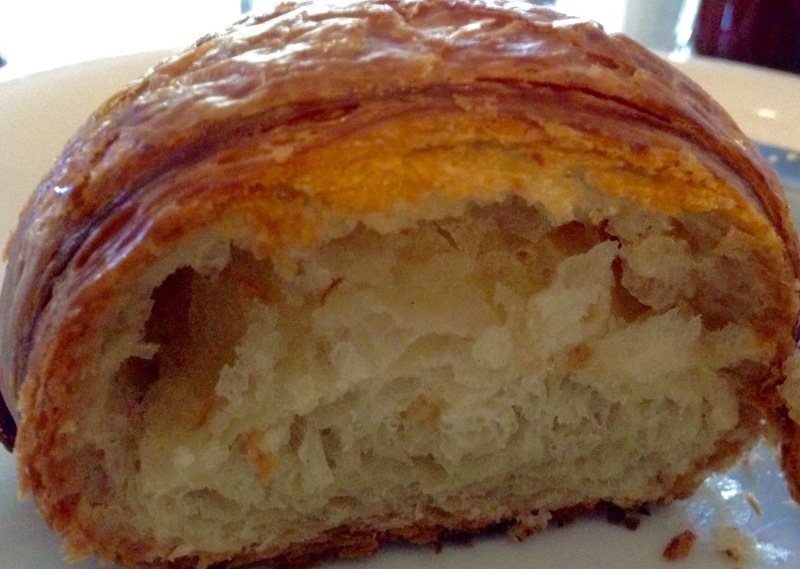 Bread Lounge in DTLA makes a very good croissant, with a light airy center layers, and a crisp outer shell. It’s about twice the size of the ones in France, but normal sized for the US. 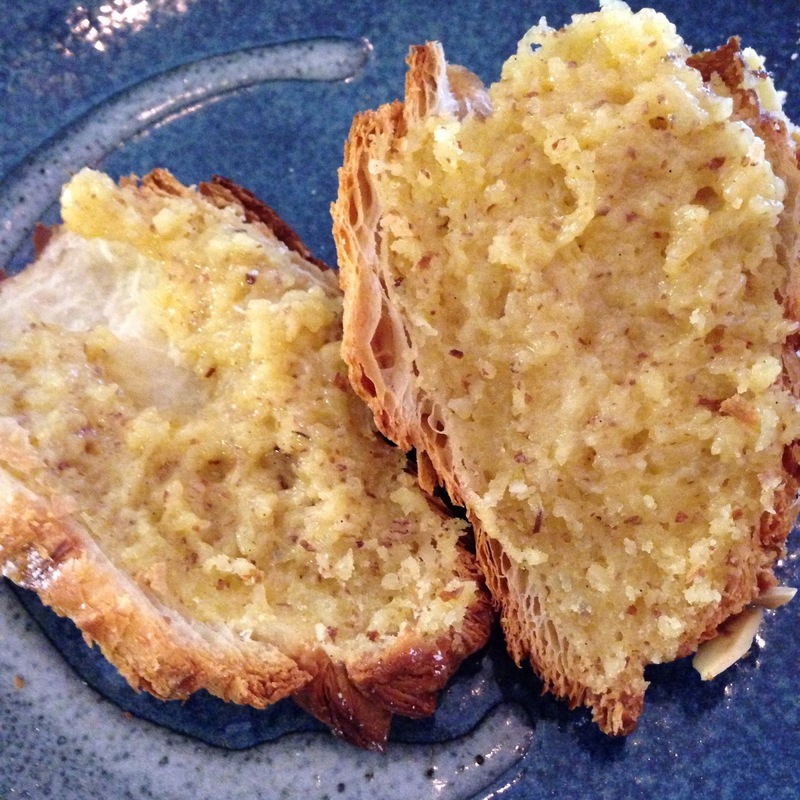 Slightly buttery and very light interior, but it doesn’t have that delightfully chewy texture that I love. 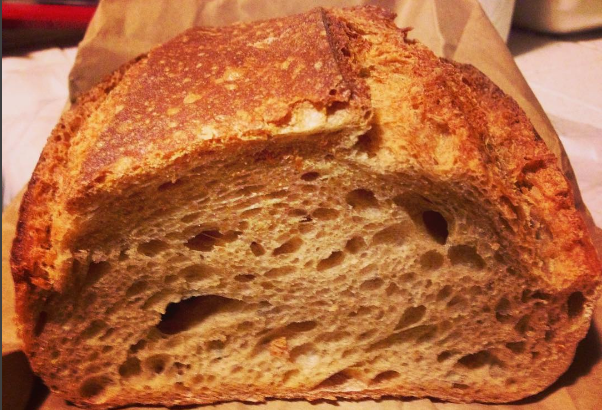 I found Proof Bakery in Atwater Village on Instagram. 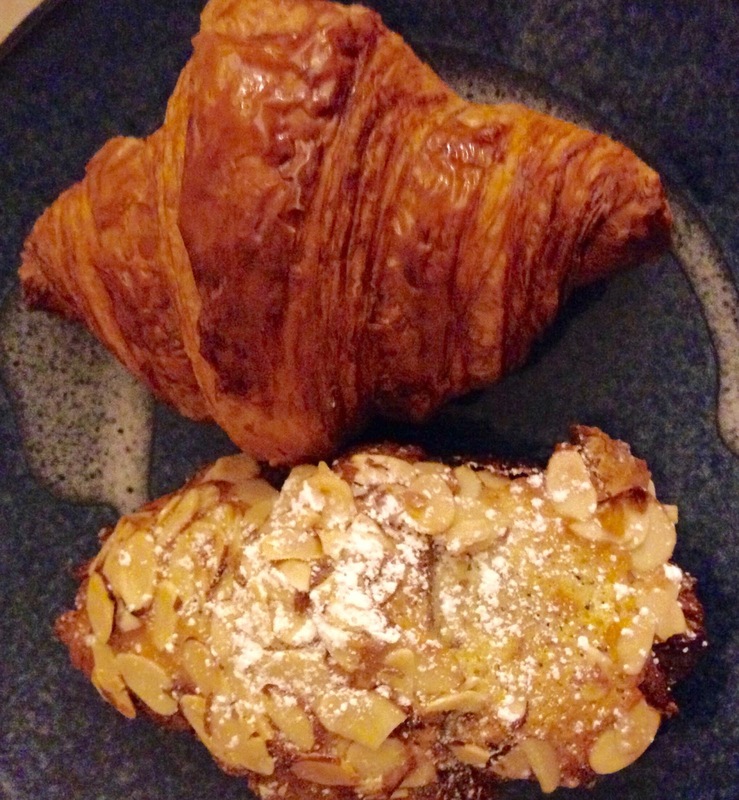 If you look at their feed, have some napkins nearby because you will salivate onto your phone 🙂 I got both a regular croissant and an almond, since those are my two favorites. The sizes were normal by French standards and I skipped the pain au chocolat because I’m one of the rare people who doesn’t like their bread with chocolate! 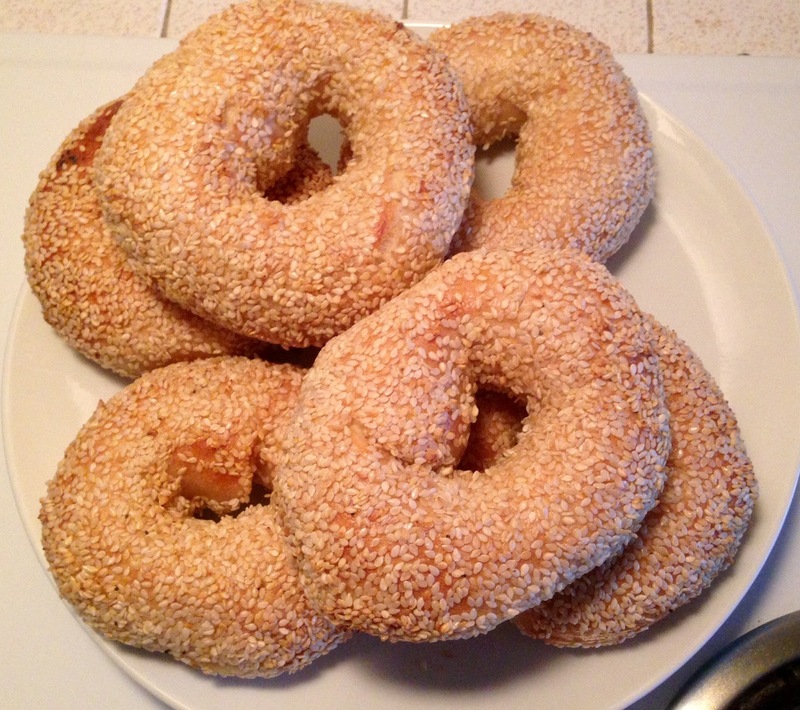 The almond was just as authentically made and had a generous filling of almond paste on the inside and outside. This was so good I wanted to save some for later, but I kept eating “just one more bite” until it was gone. I don’t live on croissants alone, so I also looked for baguettes. 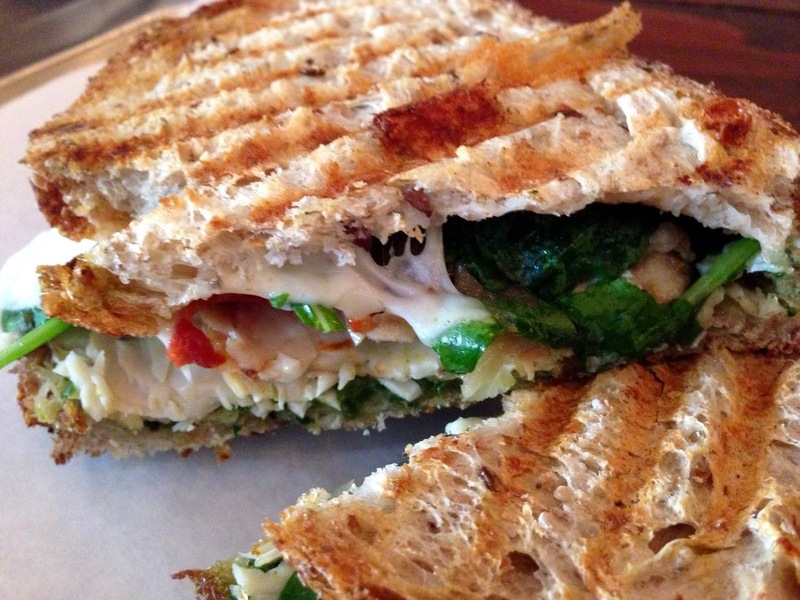 A local showed me Nicole’s in South Pasadena, a gourmet shop and cafe. When I saw they had beautiful products and cheeses from France I swooned, and then nearly fainted when I saw the prices were 3-5 times what I paid in France! 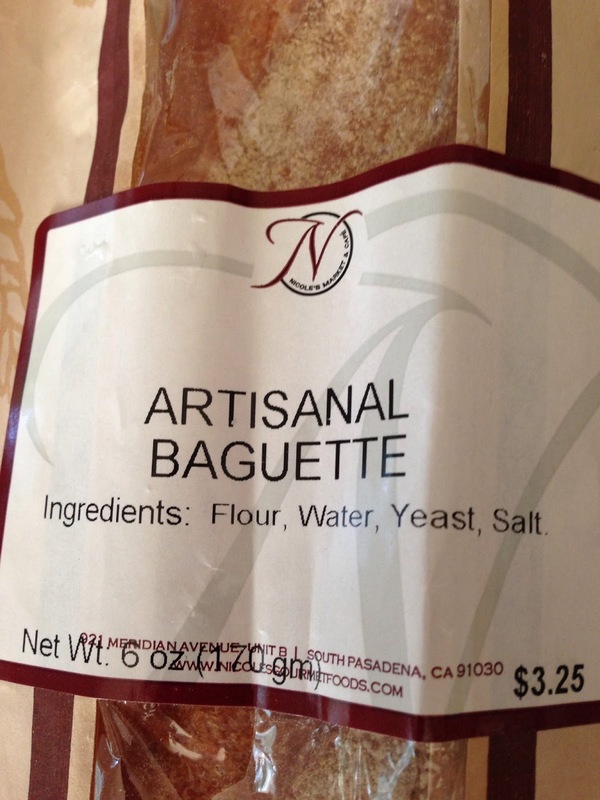 I picked up one of their baguettes, anticipating a traditional rendition. I was disappointed beyond words. 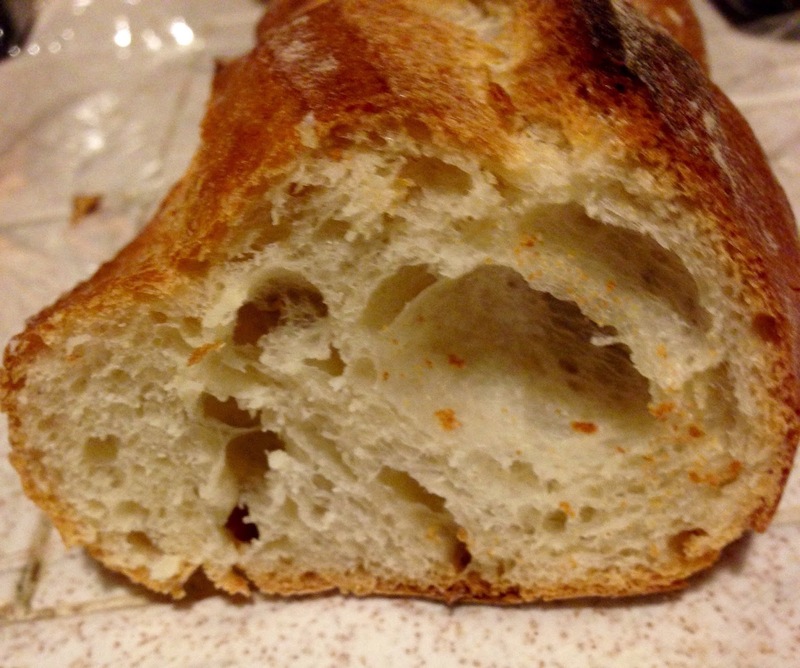 I could have bought a baguette at a chain supermarket with better crust and texture, not to mention flavor. Frogs Organic Bakery got rave reviews for their baguette, but by the time I arrived at the South Pasadena Farmers Market, they were already sold out! I settled for a loaf of their sourdough. 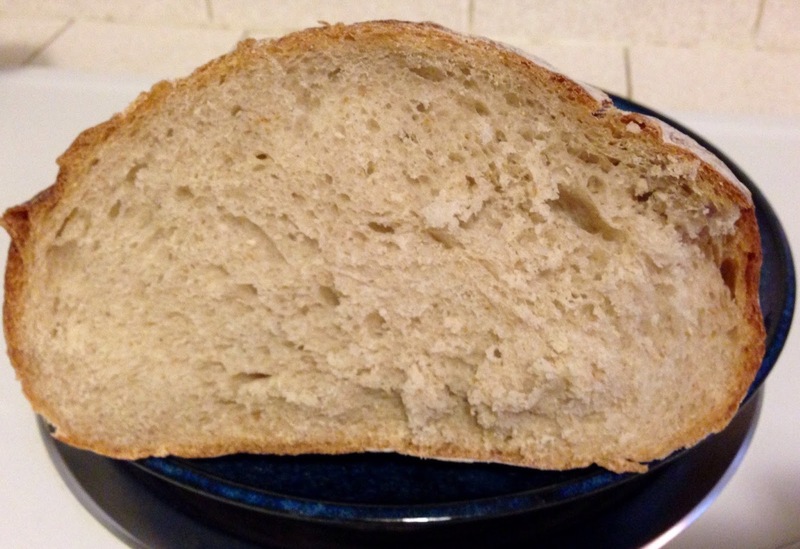 It was a nice loaf of bread, but it lacked the crackling crisp crust, sour tang, and springy texture that I love. I was so uninspired by this loaf that I didn’t go back for a baguette. 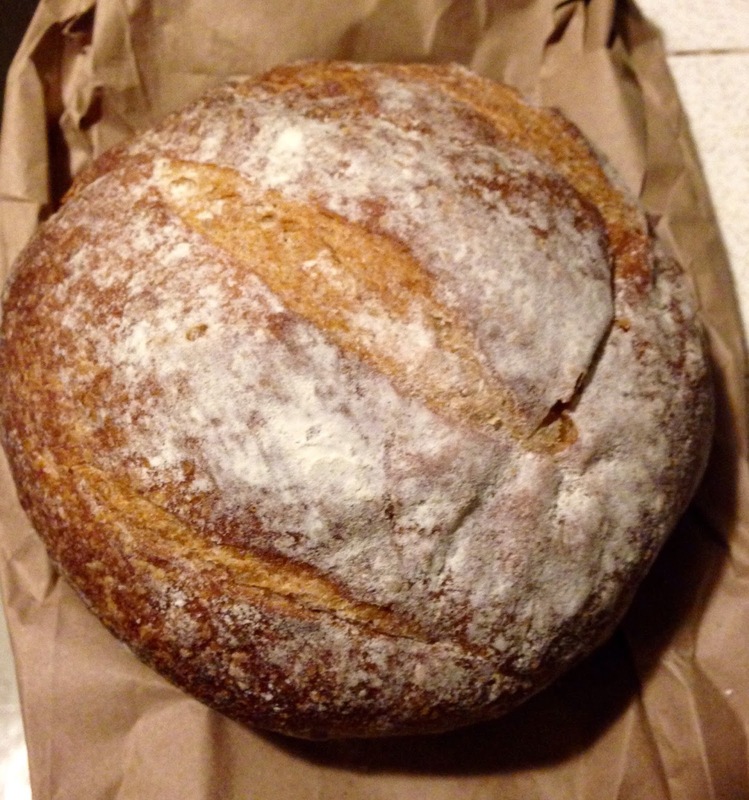 For artisan bread, the loaves at Seed Bakery are made with made with freshly milled organic ingredients, so if your tastes are for denser more robust bread, this is the place to go. 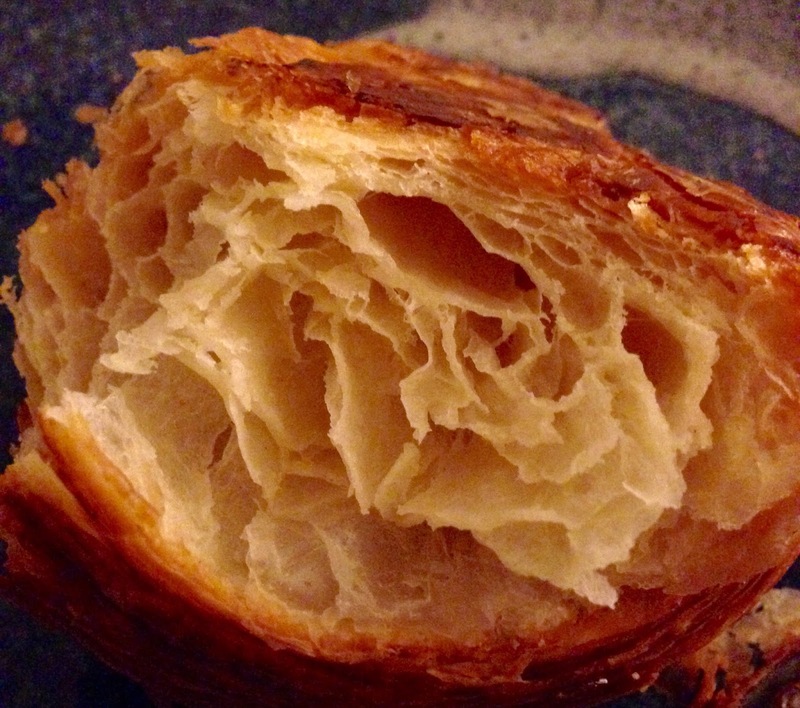 You can literally see the difference in the crust and air pockets between the Frog’s Bakery vs. Seed Bakery loaves; buy according to your preference. Since my favorite baguette before I left was at Bouchon Bakery, and I was in Beverly Hills for a Yelp Event, I stopped by to get one. After three years of eating baguette tradition in France, this was more like a regular baguette. I was thankful for a decent crust, proper air pockets, and good flavor after the previous shop. 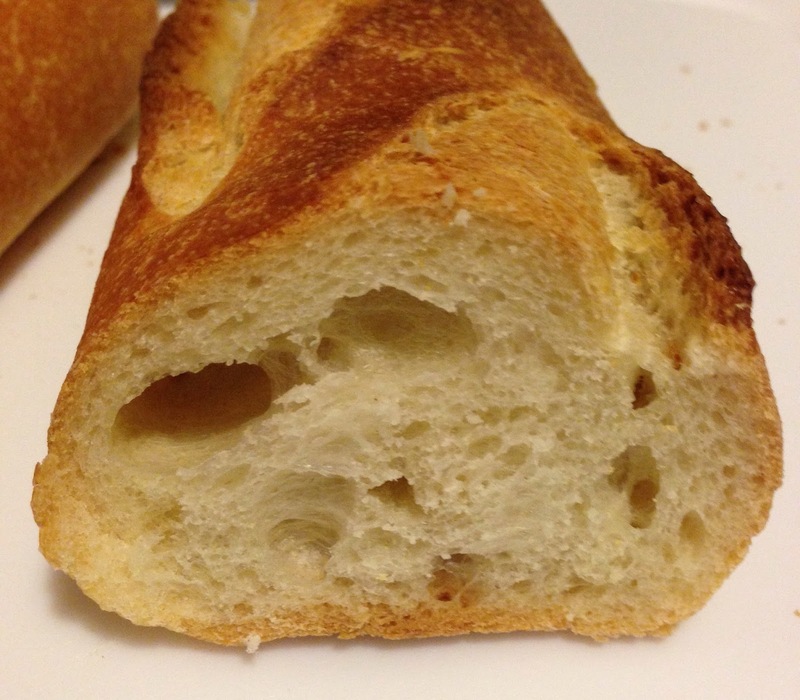 The baguette I got from Bottega Louie was twice as expensive but better in all aspects from crust to interior and much bigger. Since it is so close to two metro stops, this easy and pricey choice is one of my favorite baguettes in Los Angeles. Bread Lounge is another of my favorites; they not only bake a wonderful baguette, complete with crackling crust and airy interior, but it is about half the cost of the baguette at Bottega Louie. Bread Lounge is in an industrial part of town, so not easy to access with public transportation, but easy to find parking if you are driving. 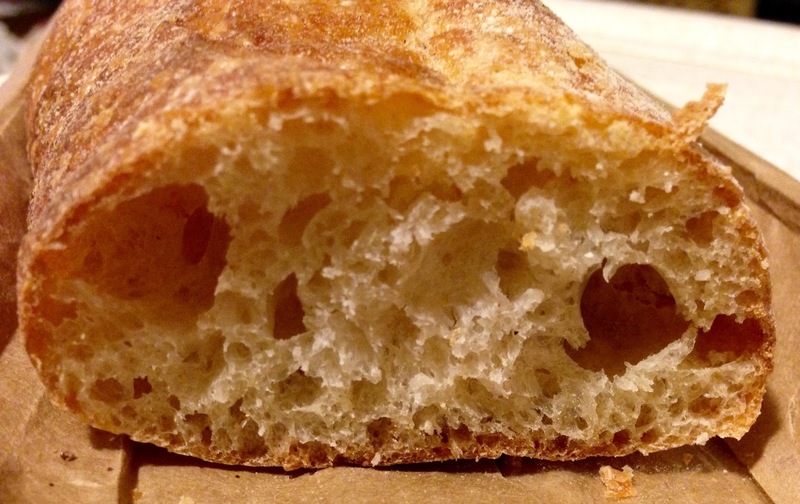 The loaf doesn’t have the toothy chew of the Bottega Louie baguette, but the crust has a nice crunch. 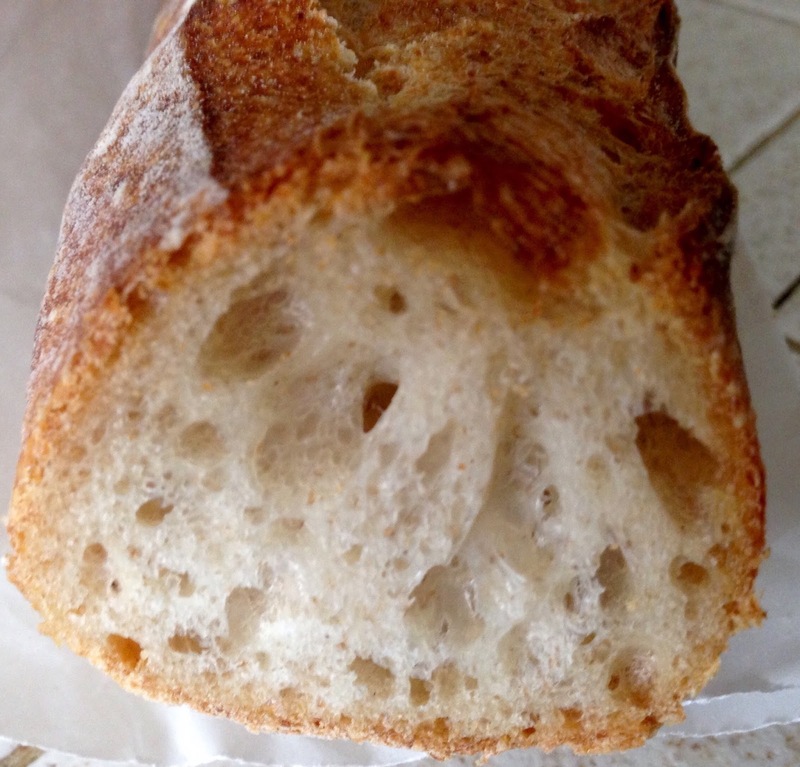 Another favorite is the baguette from Clark Street Bread, available now only at the Grand Central Market in DTLA (and various restaurants around town) until their shop opens in Echo Park. 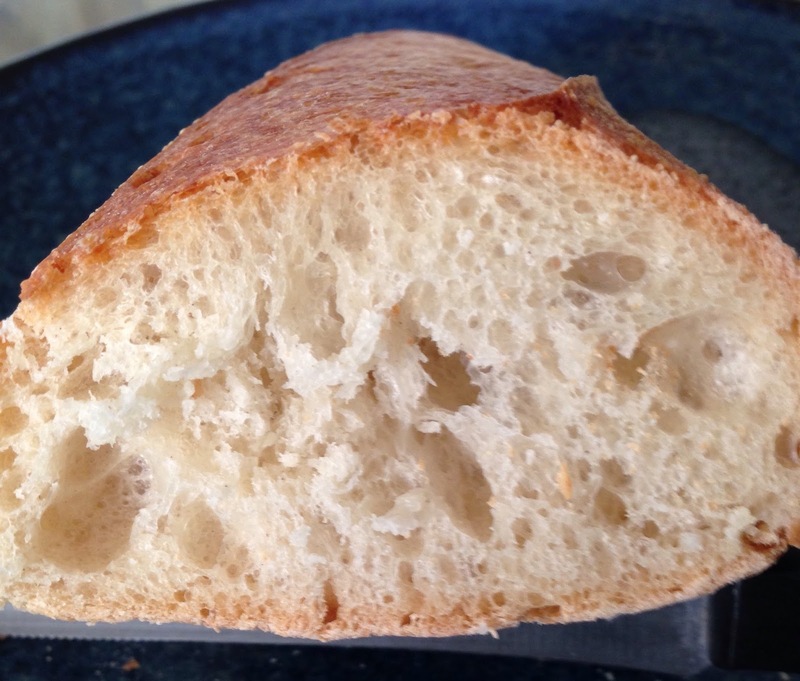 At $3.50, their price is in line with Bread Lounge, and although the crust needed a bit of crisping in the oven, the interior has the chewy texture I like, and the aroma of the loaf belies the quality ingredients used in its formation. A great bagel is nearly as rare as a great baguette, but for NYers looking for a taste of breakfast from home, Belle’s Bagels is worth both the trek to Highland Park and the early morning journey (they sometimes sell out by noon or earlier on week-ends). Get a container or two of their Sierra Nevada Cream Cheese to complete your order and you will be set until they are open again (Thursday-Sunday). In my hunt for bread, I found Float in Pasadena. 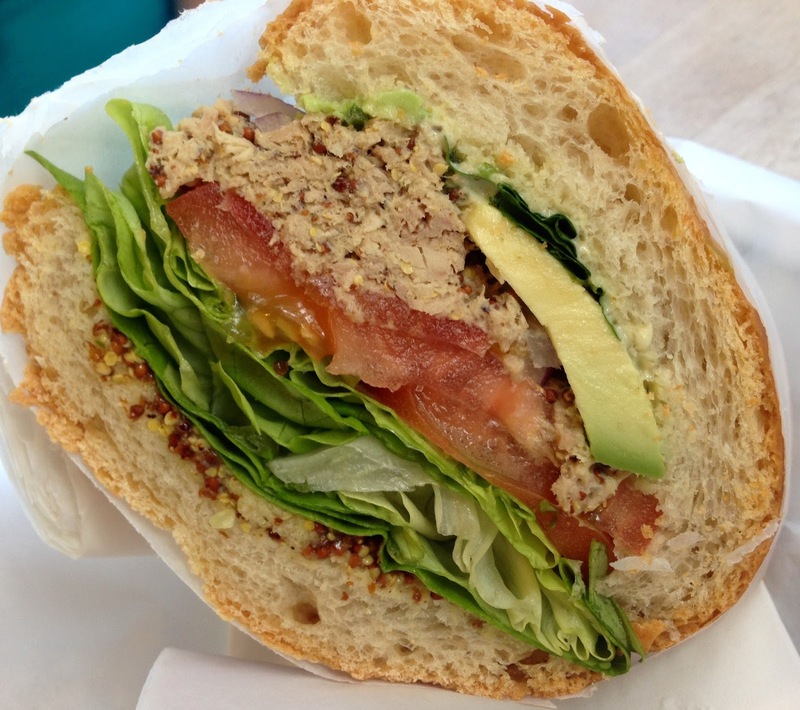 They got rave reviews for their sandwich baguettes so I went for lunch and I agree, they have some of the best bread not for sale individually:) My friend ordered the tuna salad with avocado, lettuce, tomato, red onion, and whole grain mustard. She thought she could only finish half, but it was so good she ate it all. 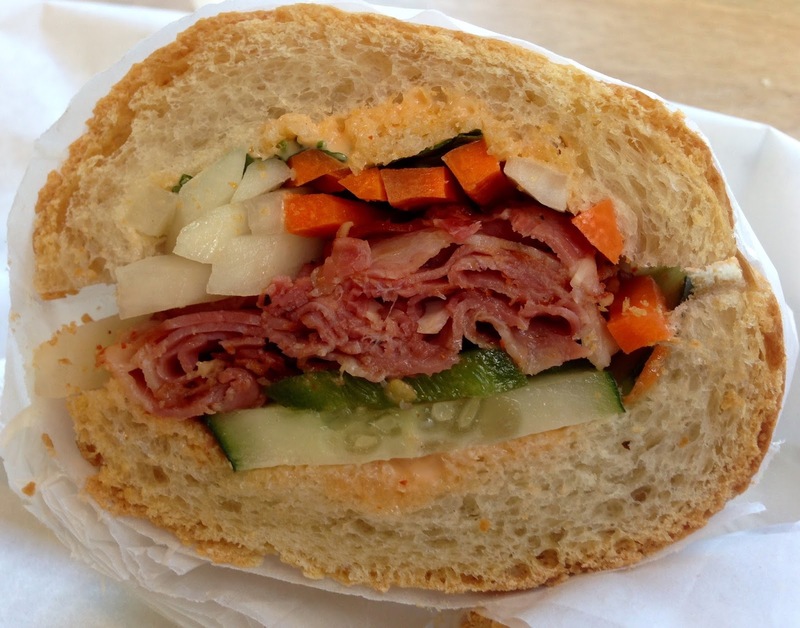 I ordered the pastrami banh mi with hot pastrami, pickled daikon and carrots, cucumber, red onion and cilantro. It was a refreshing take on both a traditional banh mi and a regular pastrami sandwich which I thoroughly enjoyed and would order again any day. They also have floats as the name implies, but after their hearty sandwiches there was no room left in my stomach. In the foodie mecca of the eastside, aka Eagle Rock, I saw Milkfarm‘s enormous cheese counter and was drawn inside like a moth to flame, or in my case a raclette to a heat source (here’s a video of how raclette is eaten). 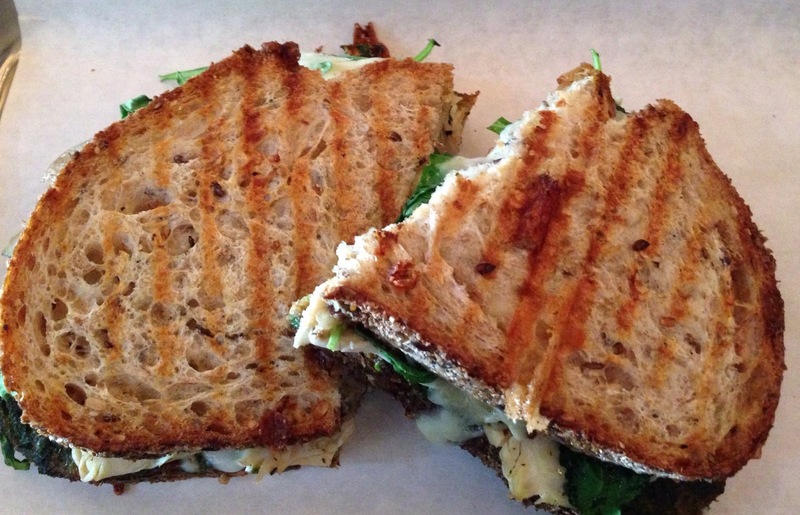 I saw a customer eating the turkey press and got one for myself:) It was made with turkey, roasted eggplant, roasted shallots, sundried tomatoes, pesto, kale, smoked mozzarella and fontina on multigrain. Even though it wasn’t on a baguette, I was absolutely happy. Who wouldn’t be happy eating this?!??!?! They also sell Bread Lounge Baguettes, so if I need a local quick baguette fix, I have a place to go!